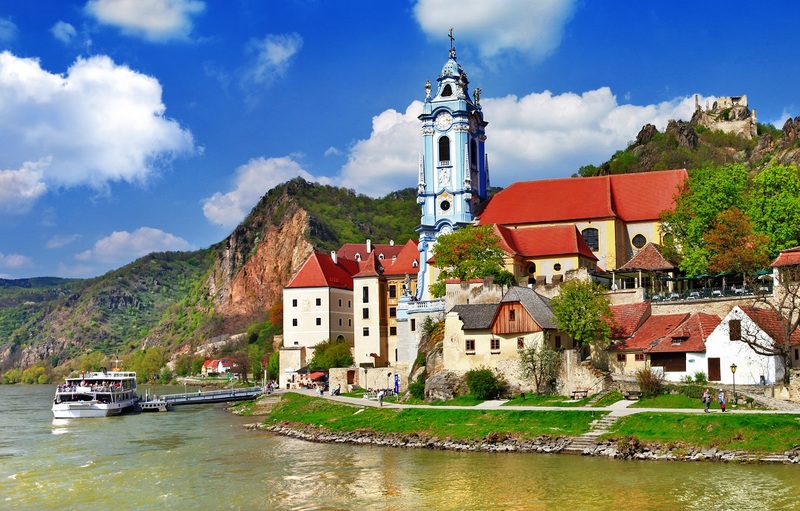 Sitting somewhat in the shadow of those more iconic cultural towns and cities threaded like pearls along the Danube, Durnstein might seem like a good place to stay aboard your cruise vessel and relax. But don’t be fooled: this unassuming town played a significant role in the history of the early British monarchy. Though undoubtedly charming, Durnstein can’t compete with the likes of Vienna and Budapest for sheer wow factor, and on the face of it there seems little to occupy the visitor beyond a small baroque abbey, a pretty pastel-blue parish church and the opportunity to shop for schnapps, jam, soap and other goodies flavoured with apricot, a local speciality. Yet this unassuming place – or rather, the brooding castle, now romantically ruined, set on a rocky spur high above the town – is at the heart of the one of the most enduring stories in British history. In the autumn of 1192, the Third Crusade concluded with a treaty between that most celebrated of medieval English kings, Richard the Lionheart, and the great warrior-sultan Saladin, maintaining Muslim control of Jerusalem but guaranteeing the safety of Christian pilgrims and merchants. Richard’s hotheaded nature had made him plenty of enemies during his years in the Holy Land, including Duke Leopold of Austria, whose banner he had cast into a ditch after the capture of Acre, and his close childhood friend Philip of France, who was now threatening to attack English holdings in Normandy. So, though it was potentially perilous to set sail across the Mediterranean late in the year, Richard cast caution to the gathering winds in order to fight for his kingdom. It proved a fateful decision, and his ship was wrecked near Venice. Facing a gruelling overland trek of hundreds of miles through the territory of Duke Leopold, the very man that he had so offended at Acre, Richard donned a disguise and set forth along icy, dangerous roads. One night, shortly before Christmas, sheltering in a ‘disreputable house’ on the outskirts of Vienna, a careless slip betrayed Richard’s true identity. Accounts vary – some suggest that a royal ring was noticed on his finger, that he ordered aristocratic fare for dinner, or that one of his companions was overheard calling him ‘sire’. 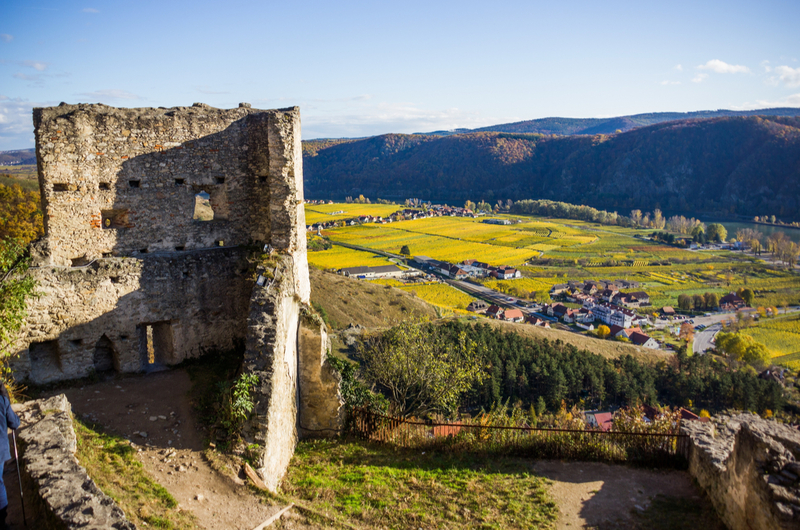 Whichever it was, Richard was apprehended and imprisoned in Leopold’s stronghold on the banks of the Danube – Durnstein Castle. Here, perhaps, is where the story slips into legend. It is said that Richard’s loyal friend, the minstrel Blondel, set out to discover his master’s location by playing his lute outside the walls of every castle in Germany. And when he reached Durnstein, a familiar voice from a high tower joined in with the second verse of a song that he and Richard had composed during the Crusade, revealing the location of the incarcerated king to his allies. There really was a famous troubadour named Blondel de Nesle, a contemporary of the Lionheart, whose songs yet survive. He may well have been a confidante of the king, but the established facts are that Richard’s eventual release was achieved through the less romantic means of extensive diplomatic negotiations and the payment of an eye-wateringly enormous sum of money, equivalent to twice the GDP of 12th century England – truly a king’s ransom. Richard tasted freedom again in February 1194. Truth or not though, the most abiding element of this tale is the relationship between Lionheart and the minstrel, now immortalised in the form of a statue outside the imposing walls of Durnstein Castle. To see it for yourself, take the signposted path from Durnstein’s main street. There are plenty of steps to negotiate and a good level of mobility is required, but a tiring climb is surely a small price to pay to walk in the steps of England’s chivalric heroes.